Everyone wants a faster Internet speed on their computers to perform the works faster. There are a few reasons cause the slow Internet speed in Windows. Here are the solutions you should apply on your PC. Slow Internet connection, especially in the Pc is the most frustrating thing in the technology era. That’s why people what to know how to increase Internet speed in Windows 10. This is a common problem for most of the users. To increase the productivity, everyone wants to speed up the Internet in Windows 10 computers. There is no doubt, that this is the best Windows operating system developed by Microsoft. When it launched for the first time, the company offered Windows 10 as a free upgrade for genuine Windows 7, 8 and 8.1 users. According to the verge, there are 400 Million active users of Windows 10, which is four times more popular than macOS. These numbers make it the World’s most popular computer operating system. Nowadays, everything in the world has been digitalized. You can perform any task from any corner of the world with the help of the Internet. That’s why it is necessary to maximize the Internet speed to enhance the productivity. Your Windows PC is will be just like a dumb box without an Internet connection. If the Internet connection is slow, then you feel like hell. 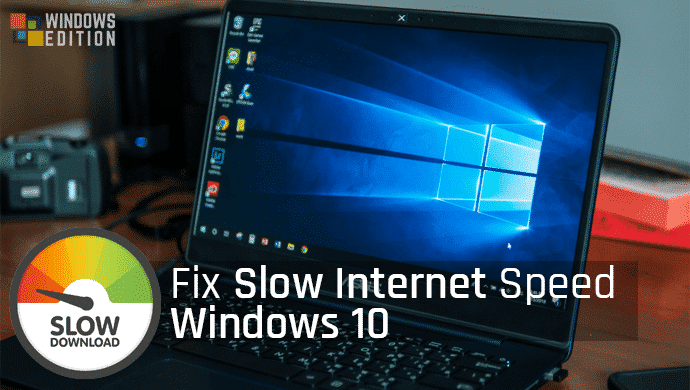 That’s why here are the tested killer tips to fix slow internet speed on windows 10. I have shared each and every possibility to speed up the Internet bandwidth. The worst feature that most of the people don’t like is the automatic Windows update. Now, you don’t have any control over the updates and you can’t check the update size before downloading. Whenever there is an update available for Windows 10, it automatically downloads and installs it in your system. Downloading a large file causes slow Internet in your PC. Well, there is a way to pause the Windows update for 35 days. Let’s check it out how. 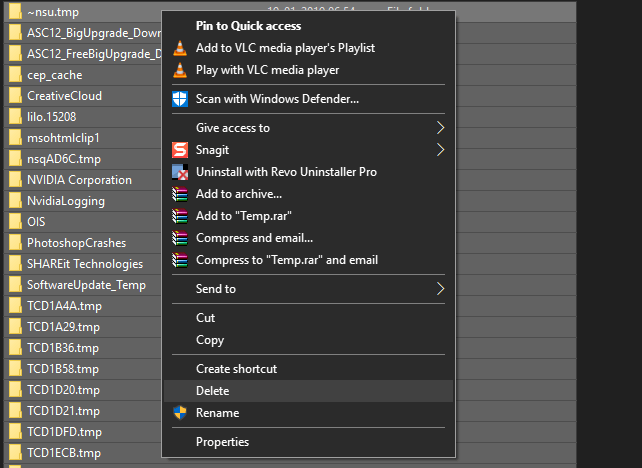 Navigate to the following path on your computer, Settings → Update & security → Windows update → Advanced options and turn on “Pause Updates” option. That’s it. From now, you’ll not get any update till 35 days. After the time period, you have to follow the steps again to extend it for the next 35 days. Windows 8 is the first operating system where Microsoft first time introduced the Metered connection feature. This is a useful feature for those who has a limited Internet data connection. If any of your connection is configured as a metered connection, the system will only download the automatic background updates when you are on your normal connection. Windows 10 is designed for computers with unlimited Internet connections. It uses the maximum bandwidth of your data connection to download and upload data. This is why you face slow Internet speed on your computer. Well, by turning the metered connection on the current network, you can solve this problem. Let’s check it out how. In order to do that, navigate to Settings → Network & Internet and select the currently connected network (WIFI or Ethernet). Here you have to turn on the “Set as metered connection” option. That’s it. You can stop apps from running in the background to save battery (If you have a laptop), bandwidth, and some system resources. Most of the apps you install from the Store have been designed to run in the background. This is another reason of slow internet on windows 10. 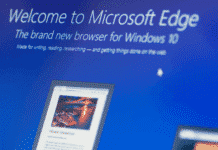 You can stop them to increase the Internet speed in Windows 10. To do that, open Settings → Privacy → Background apps and here turn off “Let apps run in the background” option. That’s it. Now, none of the apps downloaded from the Windows Store will run or update without your permission. You should always keep your Windows operating system updated to get benefits of most of the features. 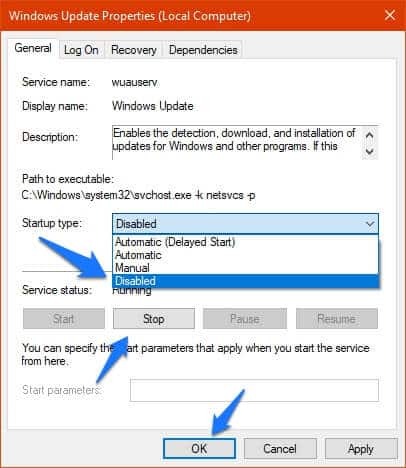 Although disabling Windows update is not recommended, but if you are using the mobile carrier for the Internet, then you can stop this service to enjoy the maximum speed of your connection. 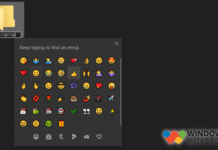 First of all, search services in the Windows 10 Start menu and open it. Next, you have to look for “Windows Update” and open it. Like the above picture, select “Disabled” from the Startup type and click on the “Stop” button. That’s it. Now the Windows update service will not run automatically. You can change it anytime to automatic to start the service again. DNS stands for Domain Name System. It helps the computer to convert the domain name (example.com) to an IP address (192.10.32.10). Your computer holds all these records to speed up the connection process. These records are called DNS cache. 1. Press Win + R from your computer, type cmd on the box and hit Enter. 2. Now type, ipconfig /flushdns and press ENTER. That’s it. You’ll get a successful message, like Windows IP Configuration. Successfully flushed the DNS Resolver Cache. Now, you are done. The Prefetch feature was introduced with Windows XP and still available in Windows 10 to store the specific data of different software you use in your computer to help them load faster. Like that, Temporary files are those files that different software store in your system to hold data temporarily. 2. 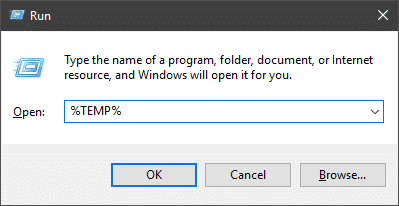 Type %TEMP% and press Enter to open Temp folder. Now delete all these files on that folder. 3. After that, prefetch and press Enter to open the Prefetch folder. Now delete all these files on that folder. That’s it. You all need to do is, restart your computer once and you are ready to enjoy the speed. This is how you can increase Internet speed in Windows 10. 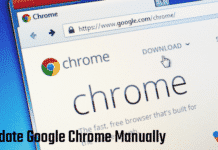 Follow the above steps to optimize your computer and stop background apps to fix the slow Internet speed in your computer. If you have any query related to the guide then feel free to ask by using the below comment box.